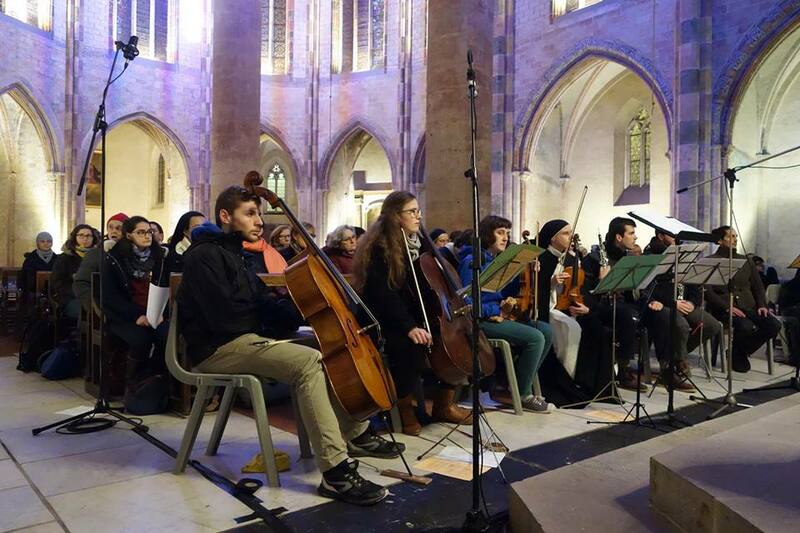 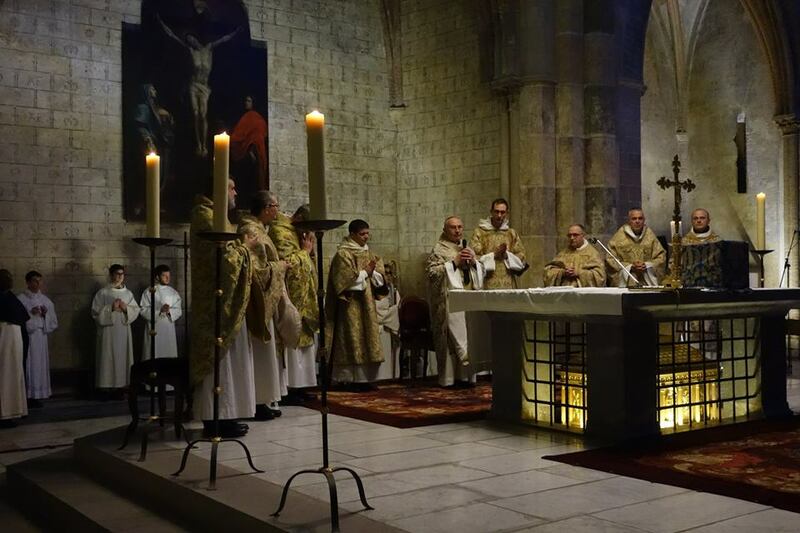 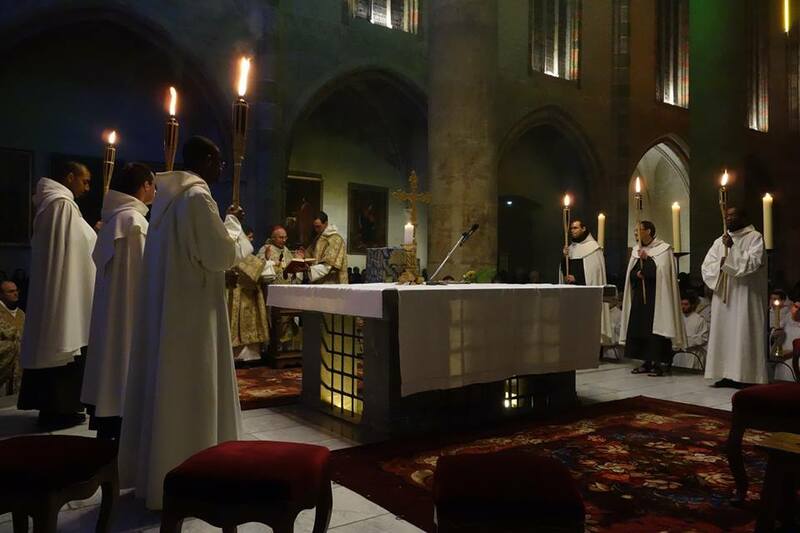 On January 28th, a Pontifical High Mass was celebrated for the feast of St Thomas Aquinas in the former Dominican Convent of Les Jacobins in Toulouse, France, where the Saint’s relics are kept. 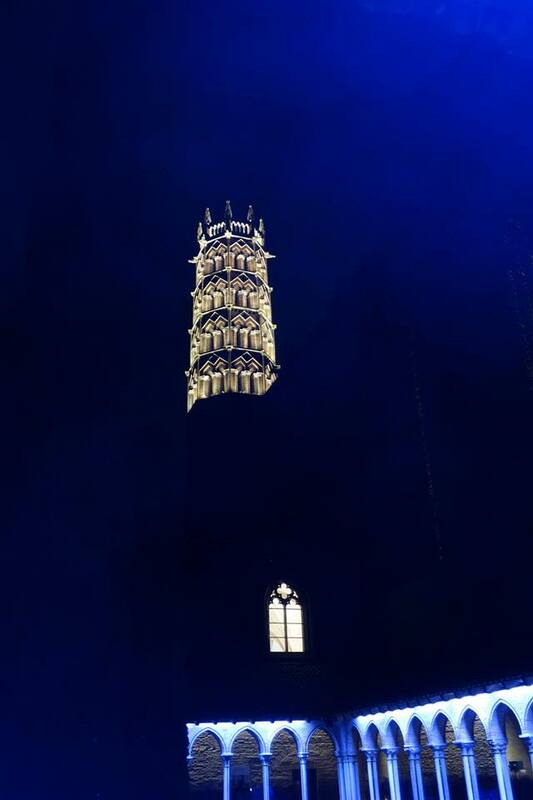 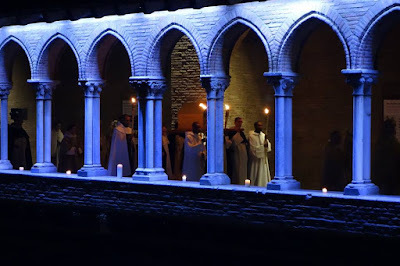 This convent is no longer owned by the order, who have another, much more recent structure in Toulouse, but one can still celebrate Masses at Les Jacobins for certain occasions, one of which is this annual celebration. 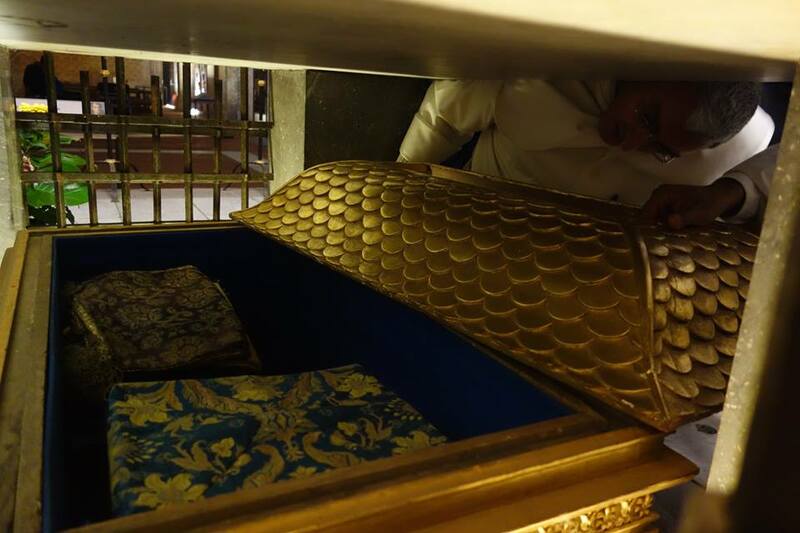 St Thomas died on March 7, his traditional feast day, but prior to the reform of St Pius X, the Dominican Order kept a second feast of the translation of his relics to Toulouse on January 28th, which was then chosen for his feast day on the post-Conciliar calendar to free up the feria of Lent. 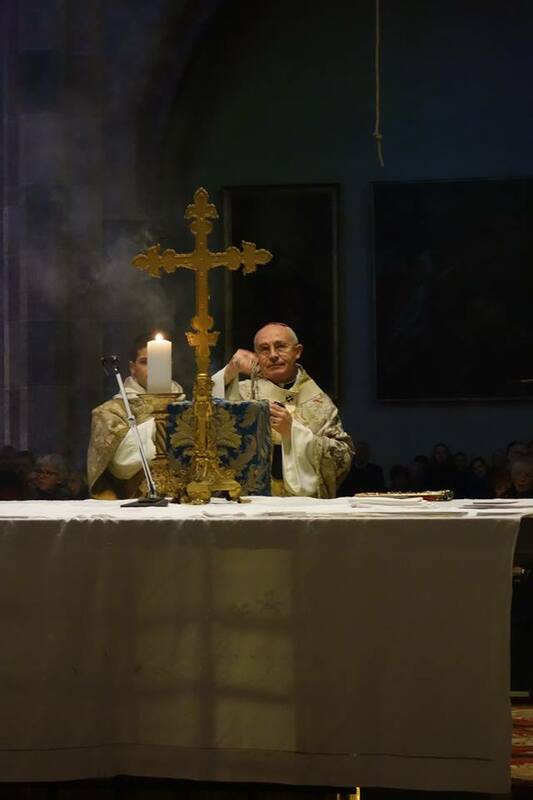 The Mass was celebrated by His Grace Robert le Gall, the archbishop of Toulouse; the chasubles and dalmatics are from the 15th century. 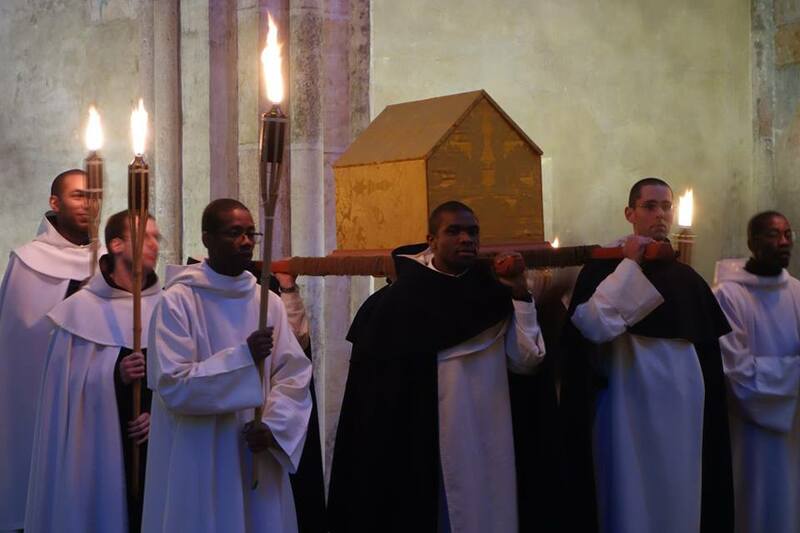 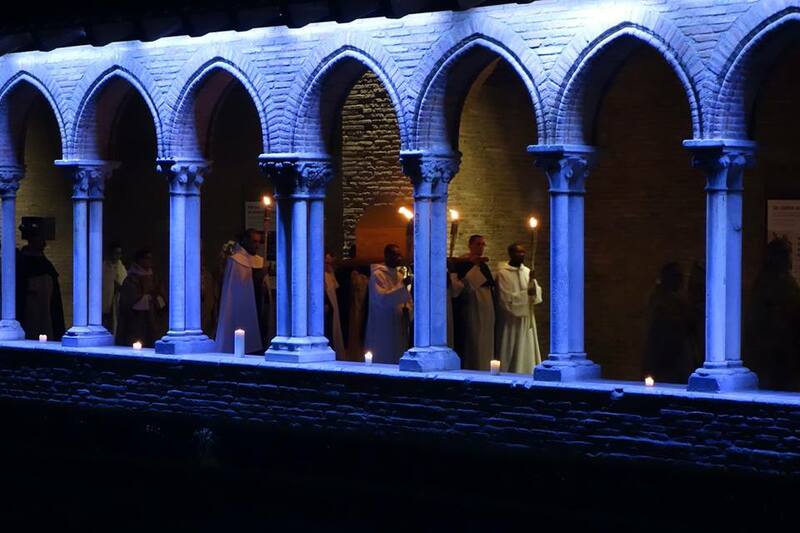 After the Mass, a procession around the cloister of Les Jacobins, with the relics of the Angelic Doctor carried by four Dominican friars.